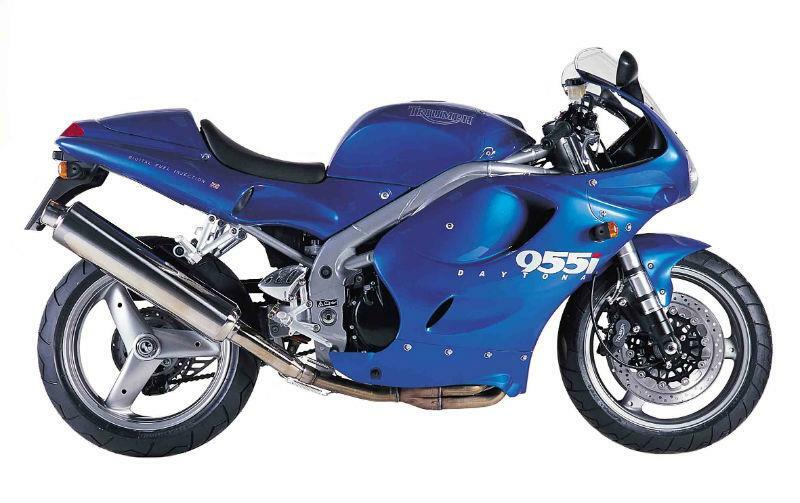 I have a 1999 Triumph Daytona 955i. It refuses to tick over when started from cold. After a couple of miles down the road, it seems fine. If I restart it before it gets cold it’s OK. If I leave it longer than maybe an hour then the same problem occurs. It sounds like it’s running extremely lean. There’s an initial check you can do yourself on the idle air control. It regulates the air from the airbox into the motor and you can get at it in the airbox. Remove the fuel tank and airbox and you should see a little plastic housing that pokes into the airbox with a little white disc that should rise and fall in response to throttle movement. The only problem with this is the FI management light will stay on after, until it has cycled three times. If that doesn’t sort it, you’ll need to get a dealer to run a diagnostic check on it to see if it has the correct map and idle fuel trim.